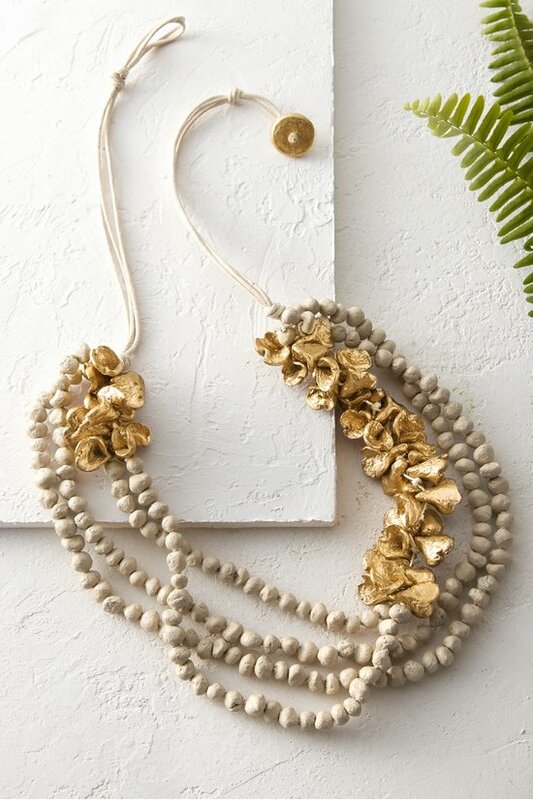 Spring flowers take on special texture and a golden glow in this artisanal necklace. Multiple strands of lightweight paper beads flow from cotton cords. Each offers its own unique characteristics.